What was the impetus behind starting a farmers market at OHSU? My director and I were at the very first Food-Med conference. We heard a presentation about the process of starting farmers markets at Kaiser Permanente facilities in California. A lightbulb went off in both of our brains simultaneously. OHSU is located on a hill with little access to fresh fruits and veggies, and at the time had no place for the community to gather. Plus, food as medicine is what a nutrition department does best! It seemed like the perfect fit. What was the process like for getting the OHSU Farmers Market off the ground? The first season was time consuming and tedious. I was determined to make it as accessible as possible, so I wanted to make sure we accepted food stamps, WIC and Senior Farm Direct Nutrition Program vouchers. Signing up with the state and getting all of the relevant equipment was a process, but was worth it. 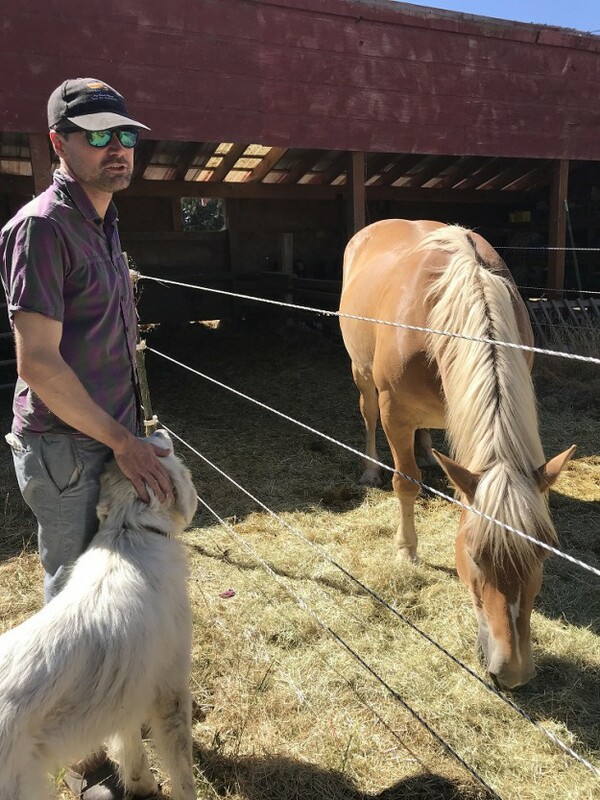 I also needed to source all of the vendors from scratch, set up a token system, accounting, and I wrote a grant to help with the funding, which we ultimately received from the USDA. We also had to create standards for the market that made sense for a hospital setting. What are the goals of the OHSU Farmers Market? Our goal is to connect health care with healthy food, to increase access to fresh, local and sustainably grown food to all who visit, work and live in the OHSU community and to help OHSU walk its talk around preventative health care. What kinds of challenges or setbacks has the market experienced over the years? How did you get through them? Our very first set back was about a month before the first market. We found out we would have to find a new location because of fire code restrictions. We found a great location, but then we had to convince the groundskeeping crew that having the market on top of their showcase fountain area was a good idea. Then we had to figure out how not to completely kill the grass. Every year it seems like some sort of construction alters some element of the market. However, as the market has gone on I no longer get so much push back about its existence. Popular demand has kept it open. We also have to continually find the right balance between keeping the vendors happy with enough customers and keeping customers happy with enough variety. In order for there to be a market, the farmers selling produce, and all the value added folks – like nuts, jellies, salsa and breads all have to make enough money for it to be worth their while. Getting customers to buy their goods is often my main objective. How has the market grown/changed over the years? 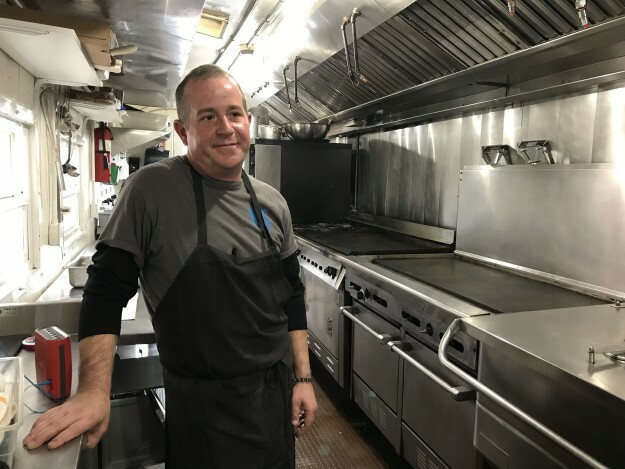 We have more vendors than ever and its reputation throughout the OHSU community has increased. Every year we add another element of sustainability to it. Last year it was durable utensils. This year we have added a minimal sweetened beverages guideline to help increase access to healthier beverages at the market. This year we will also begin to match all federal benefits. We started a matching program for SNAP users about three years ago, but this is the first year we will match up to $5 per day per family if they have any benefit. What are the keys to developing a successful farmers market? The farmer is really your primary client. If you don’t have a reason for him/her to be there, you have no market. From there you have to do everything you can to get the customers there to buy! Can you explain the idea that food is medicine, and how the farmers market supports that idea? This is the basis of my work as a manager and dietitian. The more health care professionals can make the connection between healthy foods as a way to improve health, the more they will be able to promote it to their patients from an authentic place. It’s knowing the farmer, making relationships, tasting the difference between grocery store and market produce (80% prefer market produce), personally understanding how easy access can improve the chances of eating more produce, learning about new foods, getting to support a local farmer who chooses not to use synthetic pesticides, herbicides, antibiotics and the myriad of chemicals prevalent in conventional agriculture. All of that, when fundamentally understood and experienced by a health care provider, improves the chances that they will pass on that experience, passion and understanding to their patient; will support sustainable agriculture in other ways than just shopping at a market for instance in asking for it within the hospital setting on patients menus, etc. ; and support it in state and federal policy. It’s a ripple effect. 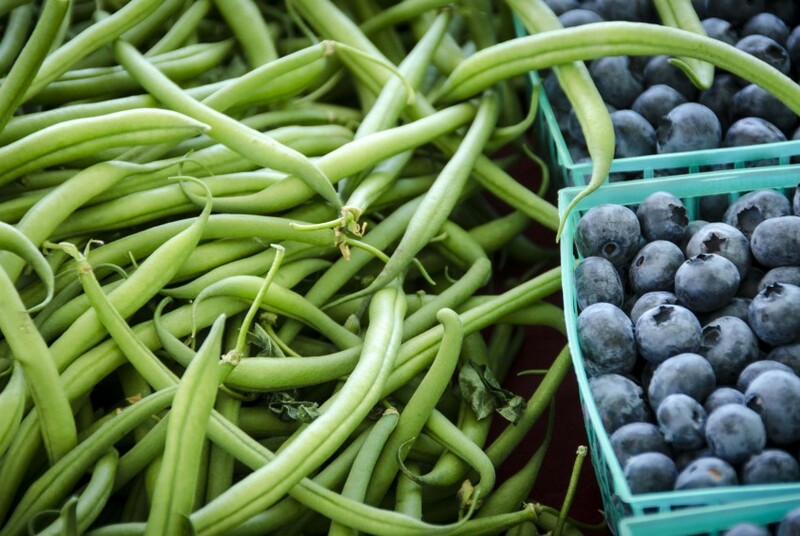 Beyond food, what other benefits does the farmers market provide to the OHSU community? When I first wrote the USDA Farmers Market Promotion Grant to get the farmers market started, the other main goal, besides providing fresh fruits and veggies, was to provide a gathering place. It is my opinion that western medicine often operates in silos and the idea of a lively, colorful place where the health care community can come together in a social setting seemed like a healthy solution and practice. It has become just that. Since it has become such a popular lunch venue, I imagine that many are using it to catch up, meet, exchange ideas or just take a break from the rigors of the hospital work-life. We all talk about how important it is to decrease stress as part of a preventative health regime and this is yet another opportunity for the providers to experience just that. What kind of changes have you seen in the OHSU community since opening the market? I do think the world is changing, and I think the market is an important part of painting an alternative and enticing reality. I think we’ve been right on track with promoting sustainability in the hospital setting as similar ideas have been spreading throughout the U.S. 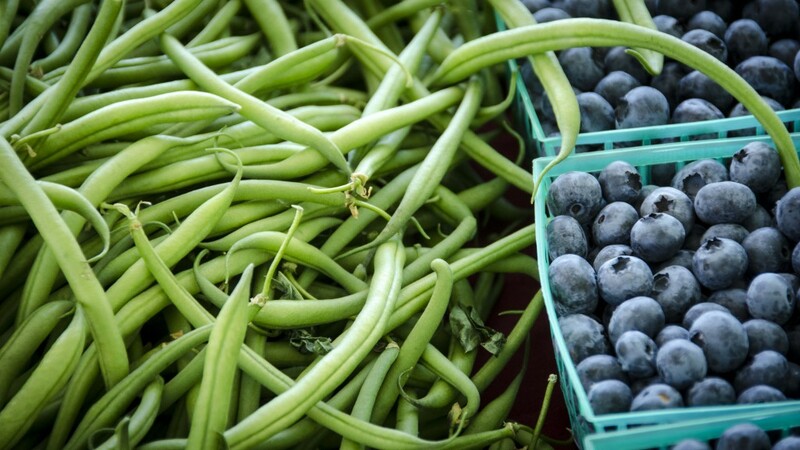 The OHSU Food and Nutrition Department has doubled the amount of money spent on sustainably grown foods in the last five years while keeping budgets relatively neutral. That is an exciting reality that has been created and supported by my directors and our staff. Recent polls find that attendance at farmers markets, and the prevalence of new markets, is on the rise. How do you see this as being indicative of change in the U.S. food culture? I have a fundamental belief that everyone wants to do good and everyone wants to feel connected to something. Food gives us the opportunity to feel connected, but farmers markets allow us the connection to food in a much deeper and more meaningful way. Supporting local farmers just feels good. I think people crave these kinds of outlets to feel more human, more connected and more alive. As more people demand this new food experience, corporations are jumping on the bandwagon to make their offerings resemble the farmers market experience. What role do you think farmers markets play in Oregon’s food culture? How does having a farmers market at OHSU impact Oregon food culture? As one of the largest employers in Oregon and the only public academic health and research university in the state, OHSU has a reach that extends throughout the state and has the capacity to effect hundreds of thousands of lives each year. It also has the financial leveraging power to shift demand of goods in a way that can affect system changes. One great example is Carmen Ranch. OHSU made a commitment to buy locally raised, grass-finished beef raised without the use of antibiotics from Carmen Ranch. Before the commitment from OHSU, they had been unable to get a distributor to make a commitment to purchasing grass-fed beef, but afterwards their sales skyrocketed. This kind of innovative thinking and implementation is paving the way for our food system to shift away from eating at the cost of human and environmental health, to eating food that is grown consciously and does more good than harm. This is the ripple effect of starting with something small in a very influential setting. What advice could you give someone interested in implementing something similar at his/her place of work? Do it. Start it. Make it as accessible as possible so as many people as possible can participate. Fight for food as medicine. Fight for the farmer, the local business person. Stand up for the health of humans and the environment. Create the opportunity to connect to each other and to our food. Do taste tests, get people involved, ask the community, non-profits and internal organizations to get involved by offering them a space to provide information. Create standards that set a high bar so it eventually becomes the norm. Keep asking the hard questions like, “why do we serve food that harms us?” and “how can we serve food that heals us?” Persist. Don’t give up when someone throws a wall in your way. Be flexible and maneuver around it. And make it as fun, and delightful an experience as possible. We all need it.